Address: Multi-Family Development Opportunity "Block P"
Development "Block P" approved for 42 condominiums. Additional development blocks are available with approved densities from 14 units and are offered from $319,000. 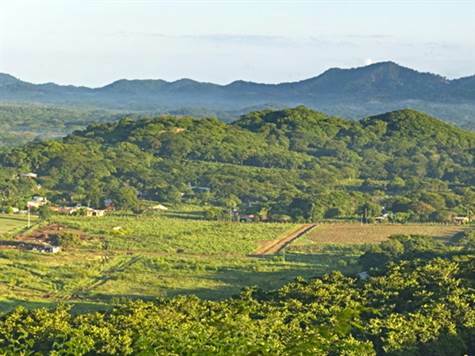 El Rancho is a residential community located in the Costa Rican Provence of Guanacaste on the Pacific West-Coast near the beach communities of Tamarindo, Flamingo and Avellanas. 50 acres of the Rancho Villa Real development have been subdivided and registered as a Condominium Horizontal consisting of 15 multiple-unit development blocks, separated by greenbelt buffer areas and parkland. El Rancho has been fully processed through all government agencies and is approved for 282 units of development. The project is now serviced with a welcoming entry gate, 24 hour security, sales office, complete paved road system, sewage treatment plant, full underground services, natural trails & park system and a Clubhouse facility including a pool, fitness center area, lounge area, kitchen and patio areas. All development blocks and lots are building permit ready. Due to favorable land prices, El Rancho potentially offers more reasonably priced housing near the beach communities and at the same time offers a quiet, rural and private lifestyle found in the Costa Rican countryside. All of this is just a 5-minute drive to Tamarindo Beach and all the amenities of a growing beach-side community. Less than an hour's drive from the Liberia International Airport, El Rancho is situated near a number of well-known hotels including the J.W. Marriott, Westin Playa Conchal Resort in Playa Flamingo and the Four Seasons in nearby Papagayo. The site is strategically positioned to attract buyers and is aimed to capitalize on the emerging mid-range marketplace and offers all of the condominium services and amenities one would expect from higher-end resorts. El Rancho represents an unusual opportunity for a developer. The development risk has been greatly reduced with all permits in place and the advanced stage of the development represents both time and investment savings!